As many readers and prospective apartment buyers are aware, masses of words are dedicated to the marketing of apartment projects. Generally emotive and altogether generic, it's the final product that truly defines a project. 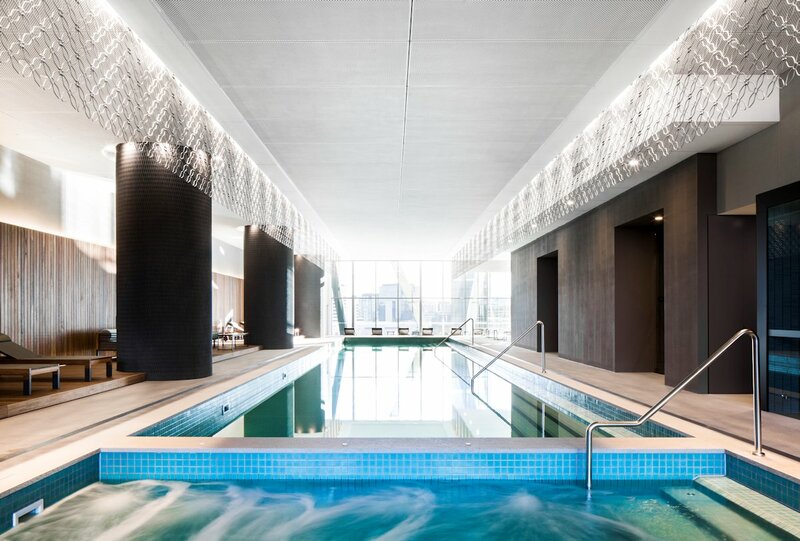 Prima Pearl developer PDG have asserted their project "will be unlike any other residential development currently in Australia." While Urban Melbourne provided an overview of Prima Pearl's current status, we were fortunate to tour the tower's facilities last Thursday. 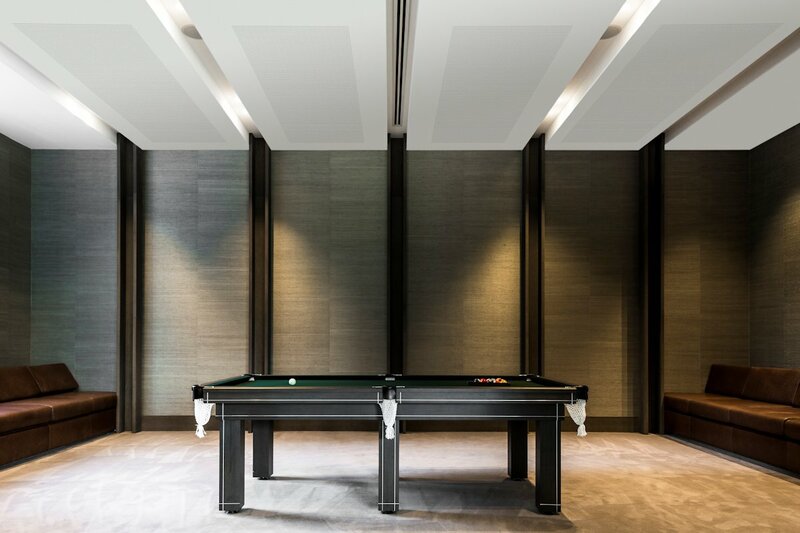 Words aside, the assembled media experienced first-hand the final product and gained an understanding of the project's intricate details. What is it that sets Prima Pearl apart? 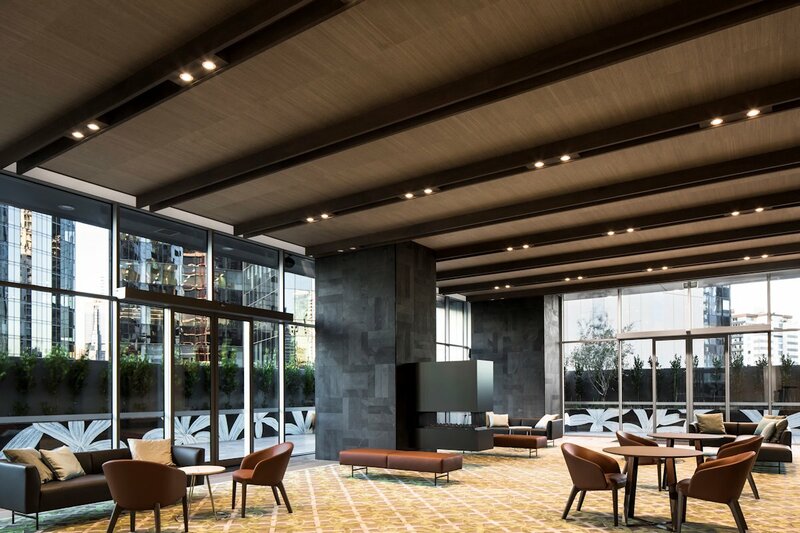 PDG Sales Manager, Mark Giuliano and architect Roberto Dreolini of Disegno Australia spared no detail in their description of the building. 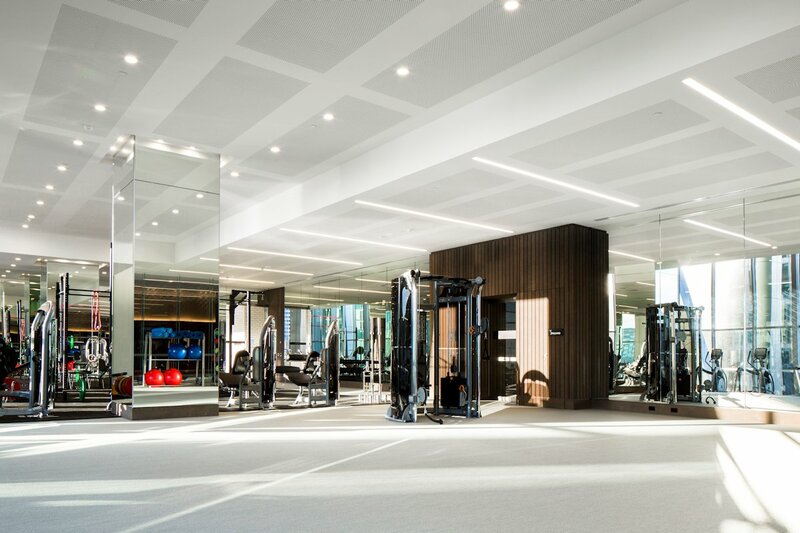 Chief amongst Prima Pearl's features is the use of an Australian-first residential tower technology, seeing eight high-speed, smart elevators employed to move individuals with maximum efficiency and minimal time. When a resident activates a sensor by way of swipe stick, the system immediately dispatches an elevator to the corresponding pick-up point (car park/lobby/recreational) with the resident's living floor already pre-programmed; simply walk to the elevator and the lift will be waiting for you, with your floor already selected. Technology also permeates through the podium-top communal areas. 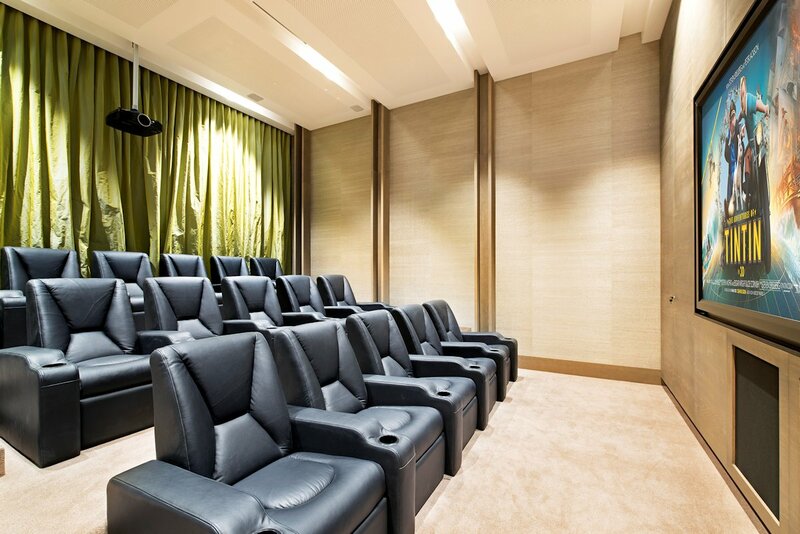 Smart Miele communal kitchen appliances, an automated gym with a myriad of program selections, or the private cinema which allows the user to insert their USB device - thus being able to watch the program of their choice - are a few of the highlights. 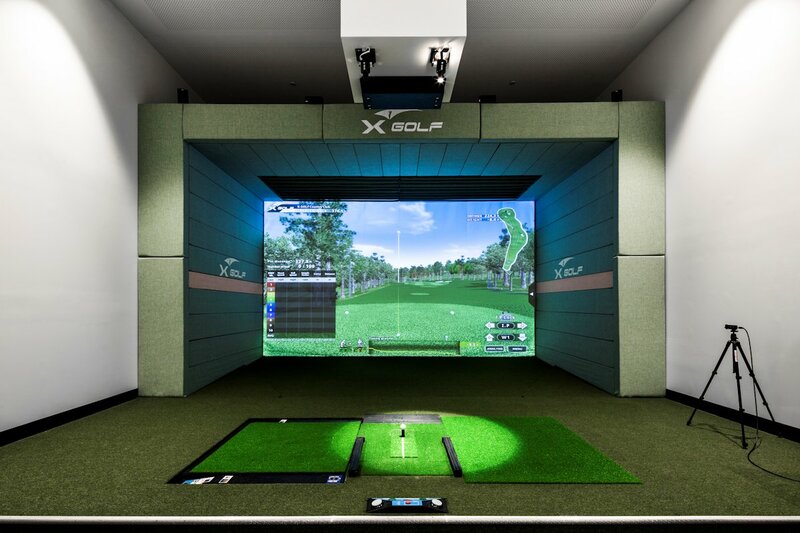 Most impressive is the golf simulation space, where Malvern firm X-golf have provided the means where a resident can have their swing evaluated off-site (in real time) and have the results fed back via a live Skype session. 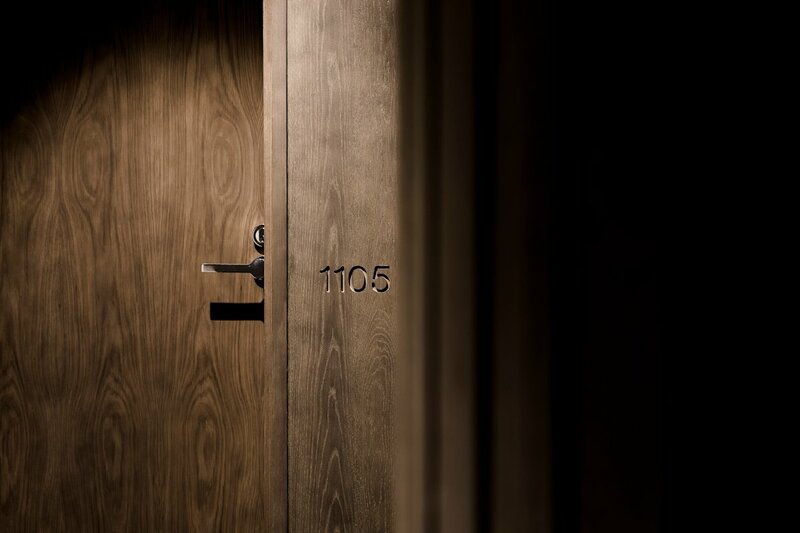 Hand in hand with Prima Pearl's technological advantage comes with a variety of custom finishes. Imported Tuscan stone surrounds the lap pool while an imported Italian mosaic frames the external terrace atop the podium. 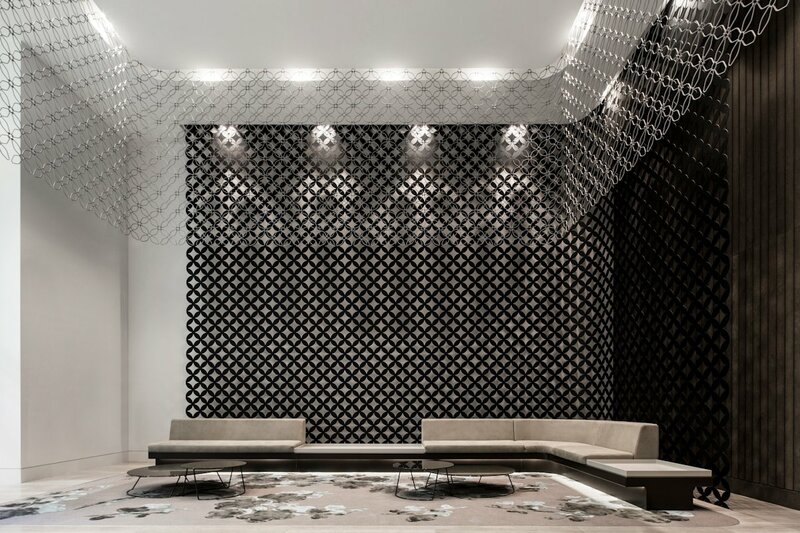 What could be considered minor details have been considered design showpieces. 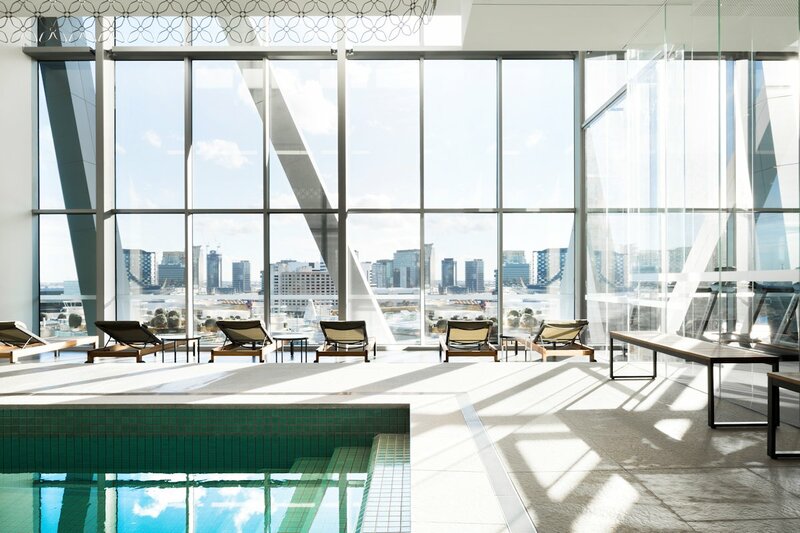 Considered improbable, the poolside sauna for instance maintains a frameless glass frontage while the entire gym floor has been described as 'sprung' for user comfort. As for the facade, Roberto Dreolini described the towers external skin as one of the more difficult and time consuming project choices. Subject to much deliberation, bronze was chosen as the team felt it played on surrounding towers while being individual at the same time. 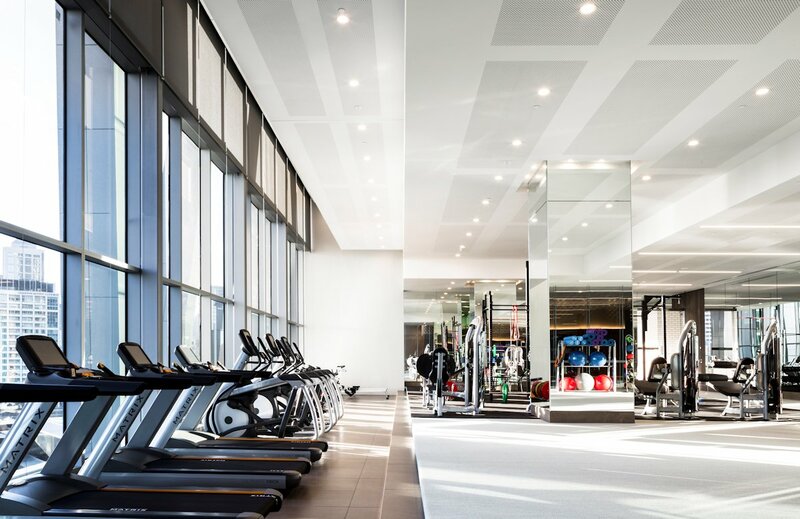 A design strategy saw double-glazed facade panels chosen, which provide outstanding insulation performance by maintaining ideal internal temperatures for longer periods. 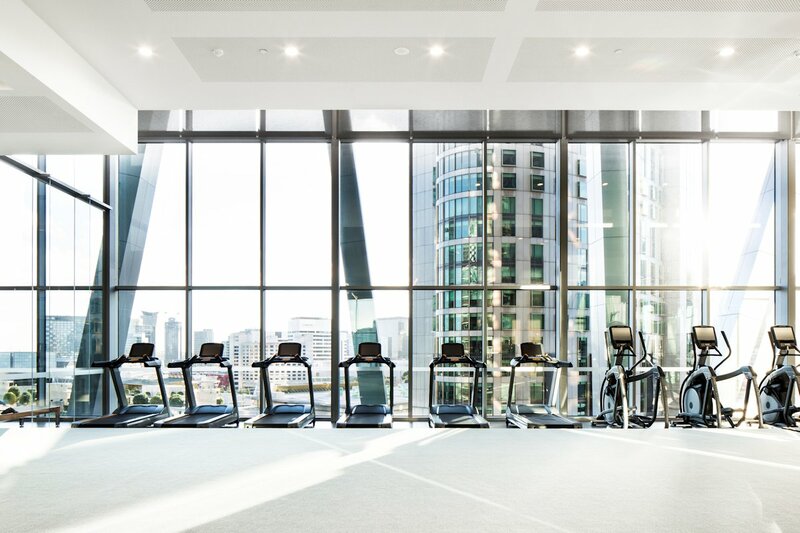 Each of the 8,500 double glazed panels consist of two panes with argon gas inserted to fill the internal void, enabling sunlight to be reflected. Appearing as one unit, the two pieces of glass and an insulated frame are sealed together, maximising the panel's thermal properties. 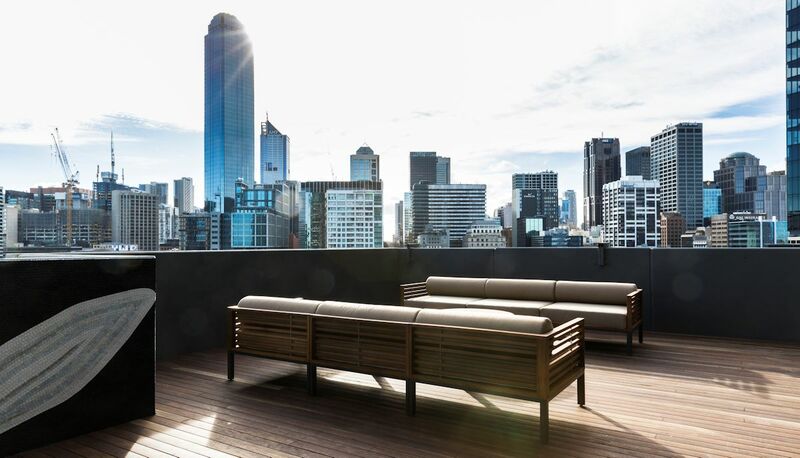 Stay tuned, as later in the year PDG have invited Urban Melbourne to the skylounge unveiling and completed apartments in the tower's upper levels. Enjoy the PDG provided images below, which more than capably do justice to the amenity and quality available within Prima Pearl.